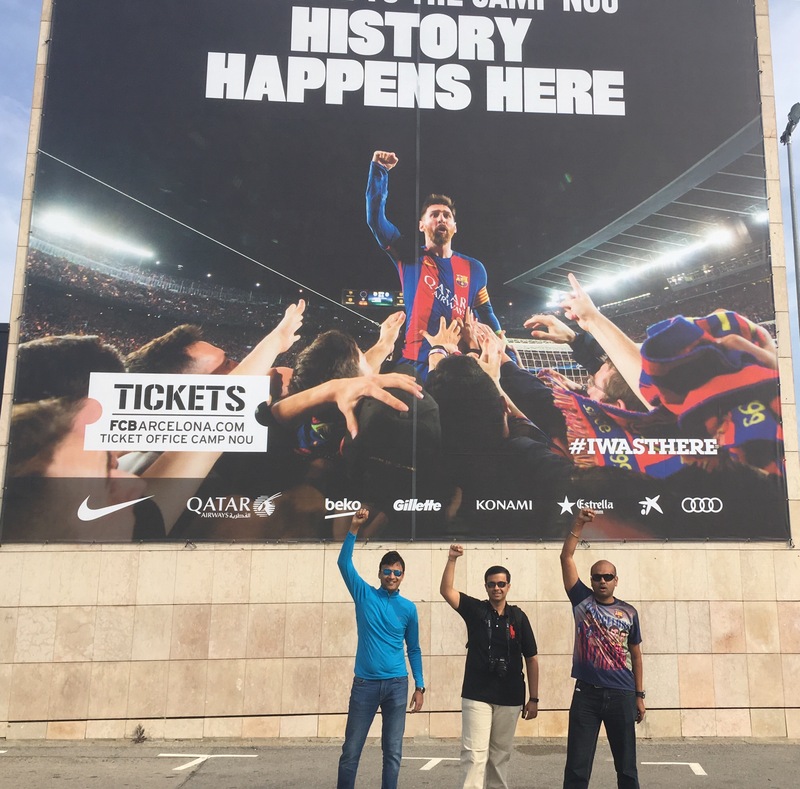 When we entered Nou Camp stadium 14 April 2017, we were welcomed by a new intimidating 30ft by 20ft billboard. It was Messi’s clenched fist pumping up crowds after the historic 6-1 win over Paris St Germain. The crowd photographer got a rich reward for this image too. There was one slight problem. On a historic, once in a lifetime football night, for FC Barcelona, Neymar had orchestrated the turn around, scoring/assisting three goals in the final seven minutes. Yet Messi’s enduring image stayed – estimated one billion people have admired this image since. The Parisien club did try to buy Neymar last year, but the Brazilian wonder boy signed a fresh contract with Barcelona which ran till 2021. In a year, though, he has had enough of living under shadows and now wants to be the lead. He has been Barcelona’s lead player and hero, at certain junctures – most notably during Messi’s injury spell in 2015-16 season. Something he becomes more routinely for his national team. But now he wants to be the lead on all fronts – commercially, numerically (goals) and camera wise. Paris St Germain’s retaining of Verratti, signing of Dani Alves and chasing of Alexis Sanchez, now falls into better perspective. Did Barcelona also fail Neymar in their attempts to lure Marco Verratti? Would Neymar have stayed if Verratti was practising today in El Ciutat Esportiva? As I had witnessed at Parc Des Princess last year, “PSG want more”. Have PSG owners convinced Neymar they want more too? However grand a move this is, unless PSG win the Champions League, Neymar may not get the Cristiano Ronaldo, Messi-esque legendary status he so desires and could have got at the Nou Camp. There is a danger he may just remain another Zlatan Ibrahimovic in history books if PSG’s grand Champions League choke run continues. Winning Champions League is a long shot. Specially for PSG’s current owners, who have yet to taste what a UEFA Champions league semifinal looks like. The challenge is uphill. Aside the top five of football (RMA, FCB, BAY, ATM, JUV) there is strong emergence of the Manchester teams, under legendary managers. Yet PSG have to win big silverware, that too within the next two years. Failing that, acrimony and discontent amongst the golden generation of Brazilian stars there (Marquinhos, Alves, Silva, Moura, Neymar), is likely to flourish. Neymar may then start looking at the English Premier League. Time will also tell if the Catalan board is able to make good use of the fortune (from Neymar sale) and help the team recover from this jolt. They weren’t prepared. Messi’s vision with FCB was linked to him continuing to lead football’s best frontline ever, till 2021. MSN is now broken. Barcelona fans are right to feel upset and disappointed. If Barcelona still manage to maintain their lofty heights at the end of 2017-18 season, Neymar will be upset and disappointed. Was Neymar under par at Barcelona? Neymar scored just 20 goals in a disappointing last season, out of a Barcelona count of 171 goals. That’s under par. At Nou Camp, his goals to games ratio at 55% (68 goals off 123 games) pales when compared to Luiz Suarez’s 87% (85 goals off 97 games). Neymar’s goals to games ratio for Brazil stands at 67%. Barcelona have €222mio to upgrade that 55% strike ratio and 20 goals of last season to much much higher numbers. Meaning to say, it is possible to fill that gap. But can the board do it? Does the board want to do it? Till then, All the best and thank you ‘N’! Football fans will forever miss the MSN triumvirate shoulder to shoulder! Previous Previous post: Singapore: Kooza Cirque Du Soleil – Is it worth your time and money?